We offer two editions of our MIDAS web based room booking and resource scheduling software, a "self hosted" edition and a "cloud hosted" edition. 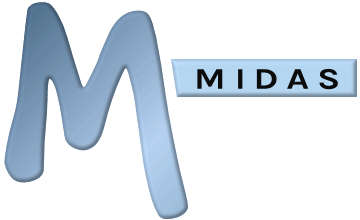 Our "self hosted" (on premise) edition allows you to download, install, and run MIDAS from your own webserver/infrastructure. Server requirements for this edition may be viewed here. Single Sign-On (SSO) Active Directory support is not available to "Cloud Hosted" editions. Whilst a number of pre-built themes are available, it is not possible to customize these/create your own themes for "Cloud Hosted" editions. The "Optimize Database" tool is not available in "Cloud Hosted" editions. Logging of API calls via our optional API addon is not available in "Cloud Hosted" editions. In order to ensure service quality for all cloud hosted customers, we rate-limit API connections to our servers. Server Information statistics are not available in "Cloud Hosted" editions. If you're not sure which edition is right for you, why not talk to us - we'll be happy to advise further!